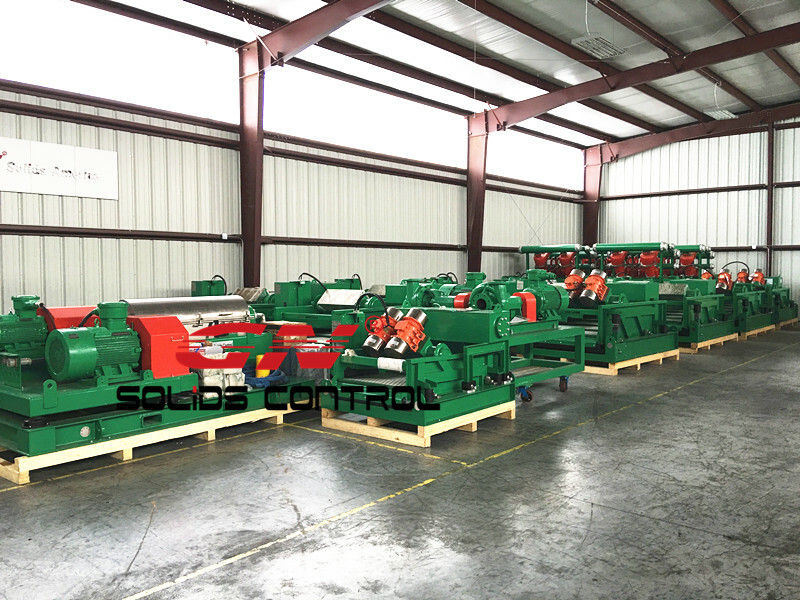 GN Solids Control manufactures 60 sets to 100 sets cuttings dryers every year. It can be used to separate OBM or WBM. Usually, in order to save cost the Hi-G shaker will be a replacement solution to separate the WBM, while the cuttings dryer can be used to treat OBM. 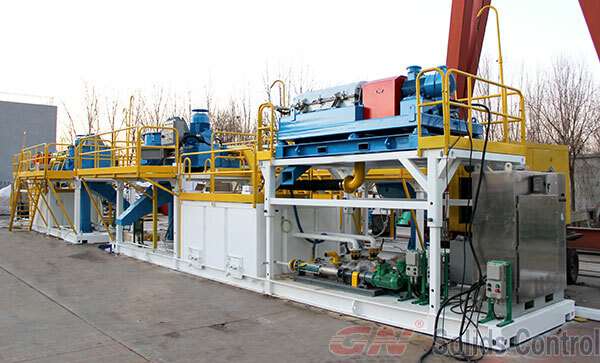 For the cuttings that separated by shale shaker, mud cleaner, it contains around 20% oil. Then these cuttings will be feed into the cuttings dryer. If we use GN High G Drying Shaker, normally we can get the oil on the cuttings around 10-12%. But if we use GN cuttings dryer, we can get the oil on the cuttings to be 3-5%. For every 100 Tons drilling cuttings, without using TDU to heat the drilling cuttings, our clients can recycle additional 7 Tons oil. The treating capacity of GN vertical cuttings dryer is around 30~40 Tons/H. 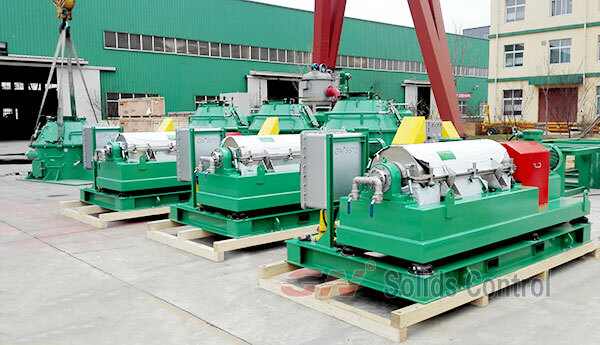 Solids that larger than 250 microns will be separated out, while the smaller size solids will be left in the drilling fluids. The wet material enter the TDU will reduce the capacity dramatically as we know. The solids come out from GN cuttings dryer and GN Hi-G shaker can be send to TDU for further separation, but due to the oil in the cuttings is not the same ( 3-5% OOC cuttings after treated by GN cuttings dryer and 10-12% OOC cuttings after treated by GN Hi-G Shaker), the difference is pretty obvious. By using the cuttings dryer, it will increase capacity of the TDU, and the electricity cost will be saved. The wet material will also increase the load of the other unit of TDU system. Like the Vapor Recovery Unit, Cooling Tower Skid, Oil water separator etc. As we know, the capacity for TDU is very small if the material especially when the materials are very wet. Generally Speaking, considering the TDU don’t have a large treating capacity, so the cuttings can be treated by one GN cuttings dryer, one GN Hi-G shaker. Sometimes, you also need one GN decanter centrifuge for much finer solids separation. 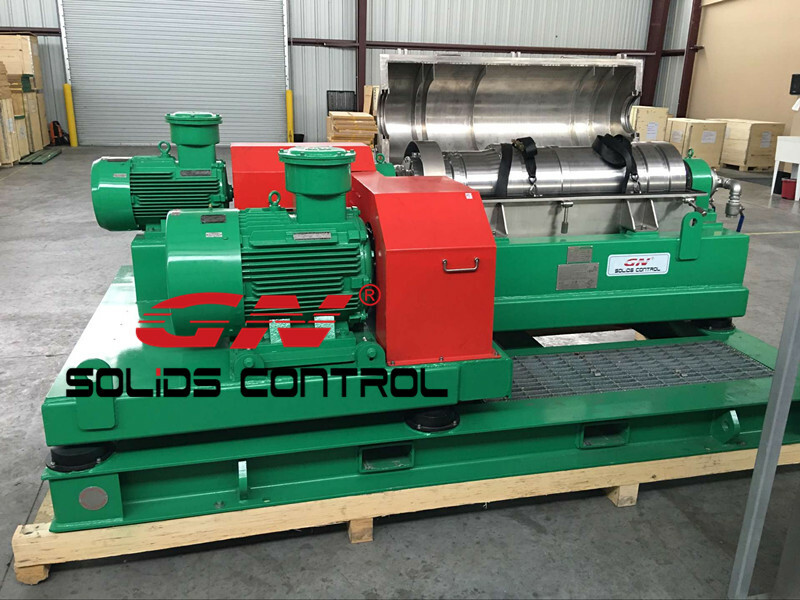 GN Solids Control has been working in the area of drilling waste management for many years, we are proud to say GN has leading this industry since the beginning. Until now, GN cuttings dryer and decanter centrifuge are still the most successful and practical products in Chinese market as well as in the foreign countries. 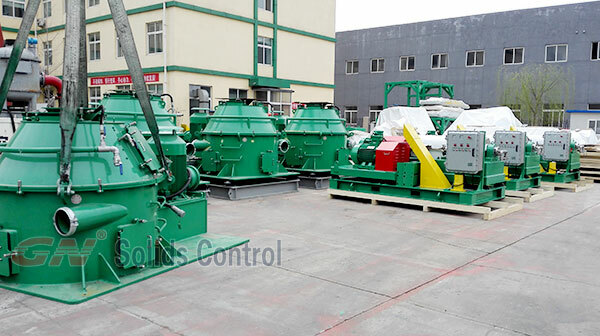 Many large clients are using GN solids control and drilling waste management systems, and they give high praise for the good performance. Clients such as Baker Hughes, Shell etc are using GN products for their oil drilling. 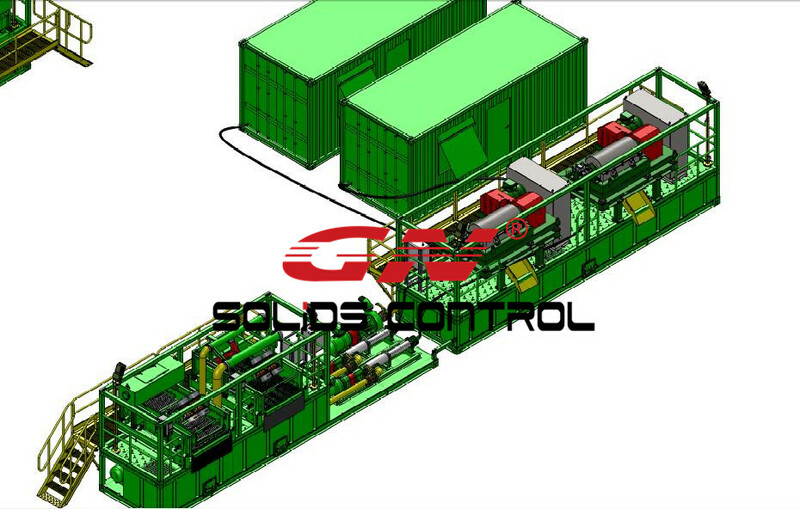 Sinopec purchased 3 sets of cuttings dryer GNCD930C from GN. These dryers are especially used for OBM, WBM or SBM treatment. Treating capacity is ranging from 30T to 50T based on the separating materials. Now GN has upgraded the cuttings dryers to D version, rotating speed of the screen basket is 1200 RPM comparing the former 900 RPM. And the D version cuttings dryer is much more compact than the C version. Here they are using GNLW363CG centrifuge with fix speed. GN centrifuge has excellent working performance. All the screw propellers are protected by tungsten carbide tiles which are pretty helpful for anti-abrasion. GN centrifuges are using genuine bearings from SKF which can be used for long time. Besides GN363 centrifuge, GN also has some other types of centrifuges in different bowl dimensions. 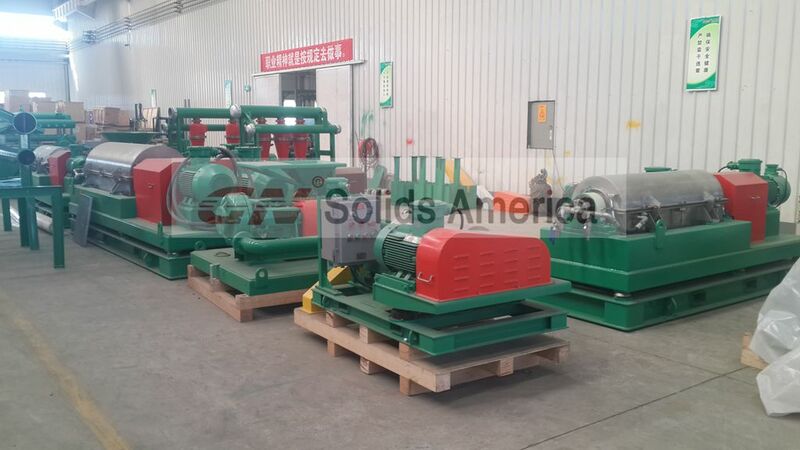 Some are especially used for large treating capacity such as GNLW553 with 22 inch rotating bowl, and some are widely used on diamond drilling or coring drilling area such as GNLW223 centrifuges with 9 inch rotating bowl. This year GN Solids America will exhibit one D version cuttings dryer and one GNLW553 centrifuge in the OTC show. Welcome to visit our booth if you have time.